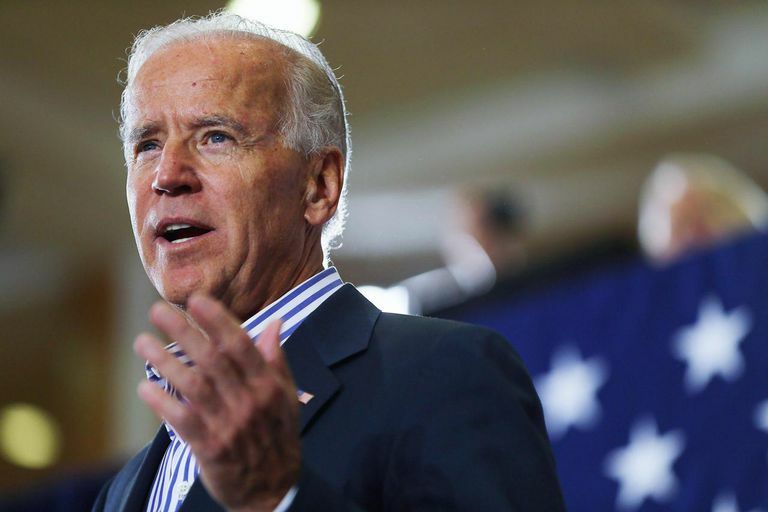 It seems so quaint now, to look back on the 2008 and 2012 campaign seasons and remember the concerns people had, the worries over what gaffe was going to come out of a presidential running mate and then vice president Joe Biden's mouth. You know, back in the era before Biden became a meme. "A man I'm proud to call my friend. A man who will be the next President of the United States—Barack America!" "I promise you, the president has a big stick. I promise you." "His mom lived in Long Island for 10 years or so. God rest her soul. And—although, she's—wait—your mom's still—your mom's still alive. Your dad passed. God bless her soul." "Hillary Clinton is as qualified or more qualified than I am to be vice president of the United States of America. Quite frankly, it might have been a better pick than me." "My mother believed and my father believed that if I wanted to be president of the United States, I could be, I could be vice president!" "This is a big f**king deal!" "I guess what I'm trying to say without boring you too long at breakfast—and you all look dull as hell, I might add. The dullest audience I have ever spoken to. Just sitting there, staring at me. Pretend you like me!" "You cannot go to a 7-11 or a Dunkin' Donuts unless you have a slight Indian accent....I'm not joking." "Folks, I can tell you I've known eight presidents, three of them intimately." “Look at what they [Republicans] value, and look at their budget. And look what they're proposing. [Mitt Romney] said in the first 100 days, he's going to let the big banks write their own rules—unchain Wall Street. They're going to put y'all back in chains." Naturally, these aren't the end of it. Read more Bidenisms here.